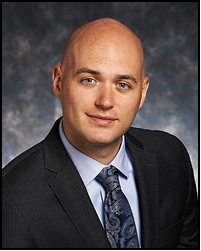 Evan Palmer started his career with the Governmental Services Department of the Firm in 2007. His areas of expertise include the audit of municipal governments, school districts, charter schools and fire districts of the State of New Jersey. Mr. Palmer is licensed to practice as a Certified Public Accountant, Registered Municipal Accountant, and Public School Accountant. He earned his Bachelor of Science degree in Accounting from The Pennsylvania State University in 2007. Mr. Palmer has over eight years of experience specializing in governmental accounting and auditing services for numerous municipalities, school districts, charter schools and fire districts, most subject to the requirements of the Single Audit Law. In addition to performing audits, he has assisted clients with arbitrage calculations and has served as a speaker for various continuing professional education courses in the areas of municipal accounting, auditing and budgeting. Mr. Palmer is a member of the American Institute of Certified Public Accountants, the New Jersey Society of Certified Public Accountants, and the Registered Municipal Accountants’ Association of New Jersey where he serves in the capacity of Secretary and was appointed as the in charge of website design. Evan and his wife Stasia reside in Berlin Borough, Camden County.